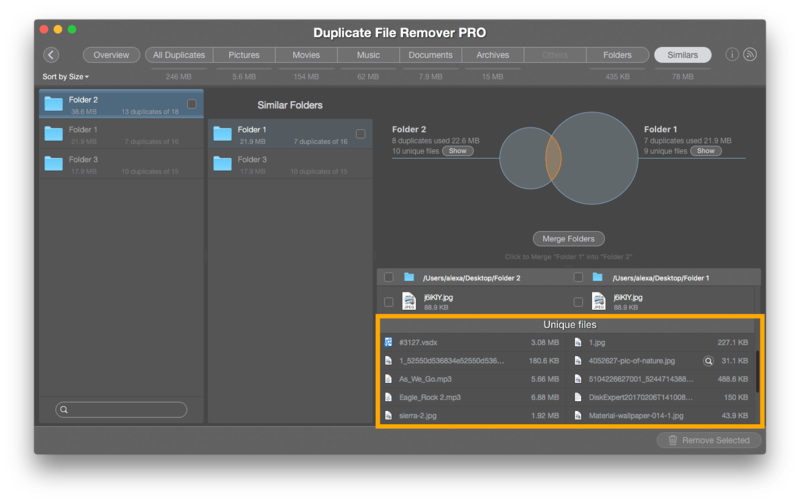 Duplicate File Remover Pro is the only duplicate finder that not only finds duplicate files and folders, it finds similar folders as well. 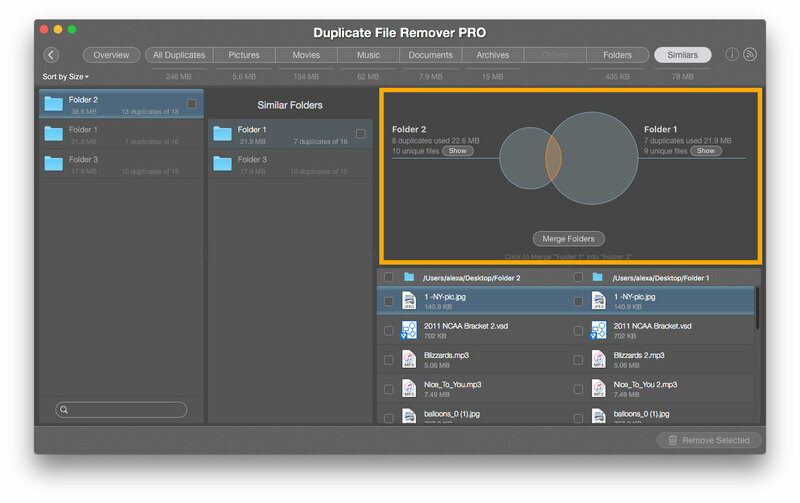 Similars are the folders that contain both duplicate and unique files. The application shows all these folders, so you can easily remove unneeded duplicates and view unique files. 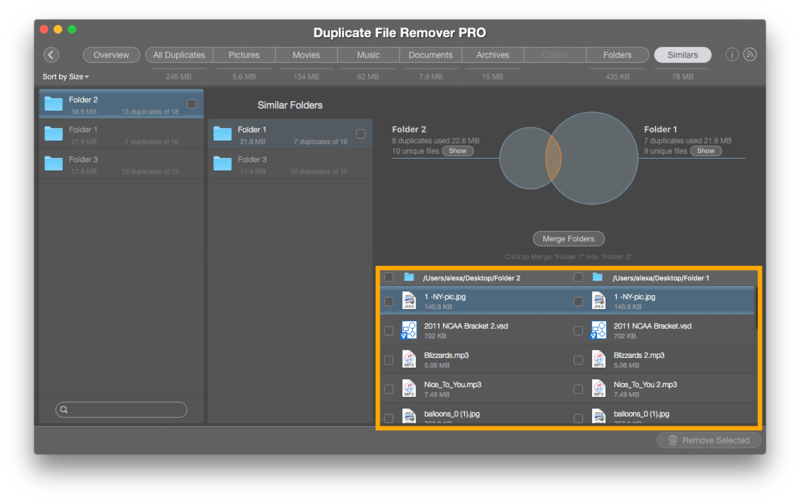 To view Similars, go to the Similars section – click an orange button in the top right corner of the Duplicate File Remover window. 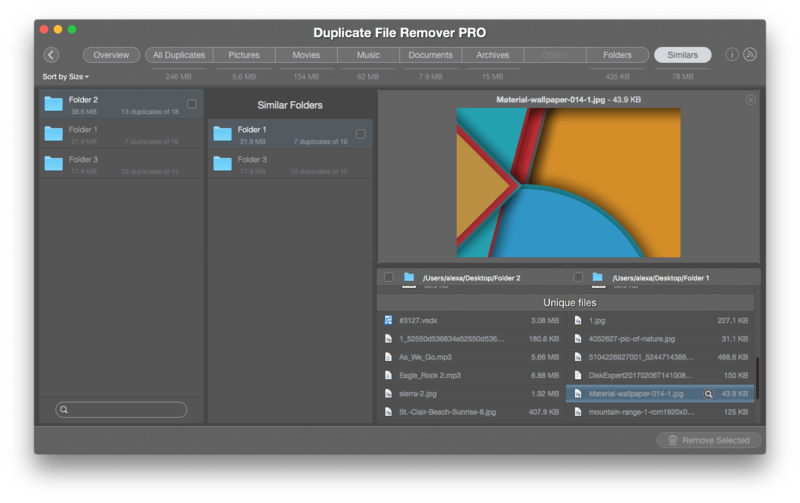 Duplicate File Remover Pro shows the number of duplicates in each folder, the total size of them in each folder, and a number of unique files. 2. Click the Show button or each file in the Unique Files section to preview the single files. 3. 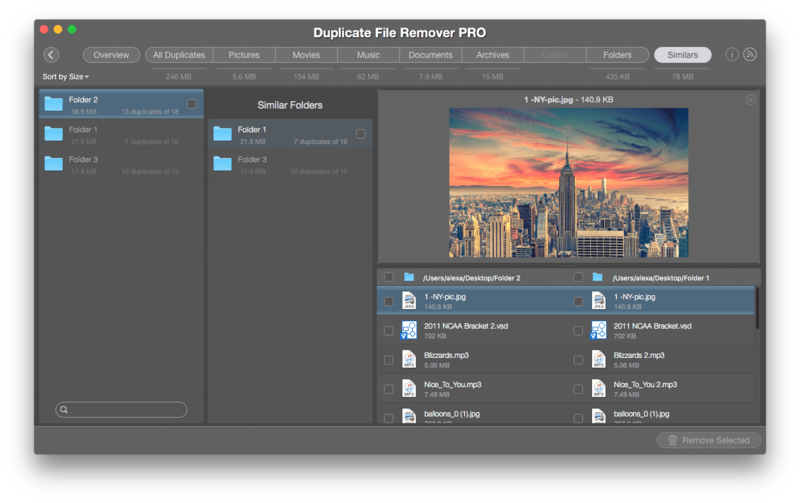 View a list of duplicate files in similar folders in the right second section. Once more, duplicate folders contain absolutely identical items. Similar folders contain both identical and unique files.